The North Carolina estate that provides the setting for season eight of "The Bachelorette" -- currently airing on ABC -- is on the market for $5.89 million, significantly higher than its pre-broadcast price. 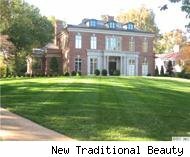 According to Zillow.com, the six-bedroom, 8½-bath house in Charlotte "is a European-style mansion with stucco and stone exteriors," boasting 12,000 square feet of living space. 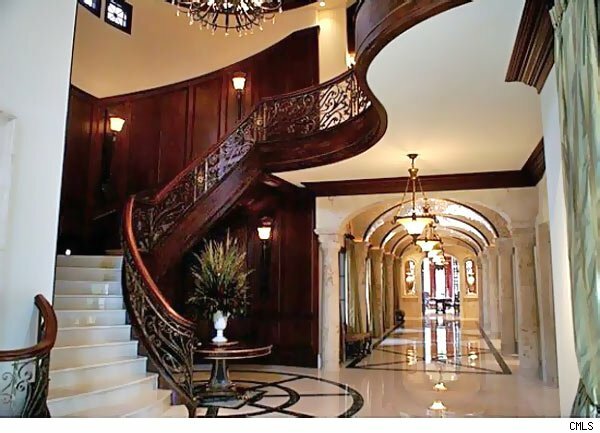 Its deluxe features include "a two-inch think marble floor that runs from the home's entrance down its main hallway." But the home's love affair with marble goes even deeper than that. "There are beautiful houses all over," said listing agent Nick Peters of Peters and Associates, "but this one has an official grand ballroom with a 20-foot-high fireplace made of solid marble. The room also has gold-glazed mahogany trim, silk window treatments and gorgeous lighting." Outside, the 5-acre property features a sweeping lawn ("big enough to land a helicopter," Zillow reports), a slate courtyard, and a saltwater pool with mosaic-tiled waterfall. Built in 2006, the home was listed for $3.9 million before "The Bachelorette" came to town (for only its second season outside of Los Angeles; the third season filmed in New York). 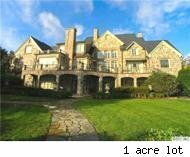 It went on the market in 2006 priced at $7.89 million, before several discounts. The sellers are obviously hoping that the house's new, high profile will help. Nick Peters certainly thinks so: "You can't really showcase a house with photos," he explained. "I'll bring in a professional photographer, but the way that it shows on TV ... it's breathtaking. You can't get that from a photo shoot." See what you can get from a photo shoot by checking out the gallery below. And here's a link to the listing. Click on the images below to see more homes for sale in Charlotte, N.C.